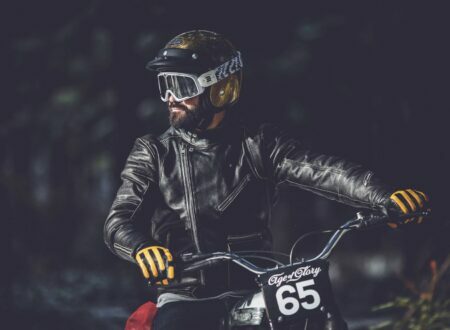 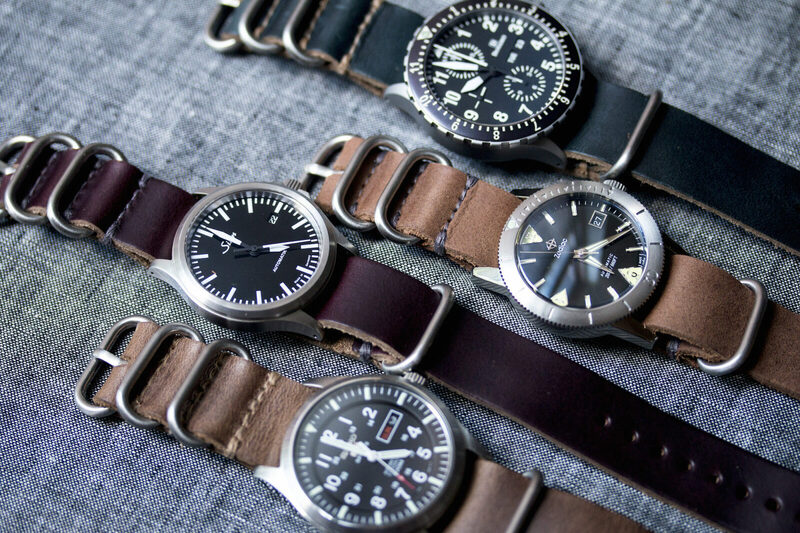 Military straps, otherwise known as NATO straps, were designed for use by pilots, special forces and other military personnel who’s life often depended on their watch remaining firmly attached to their wrist. 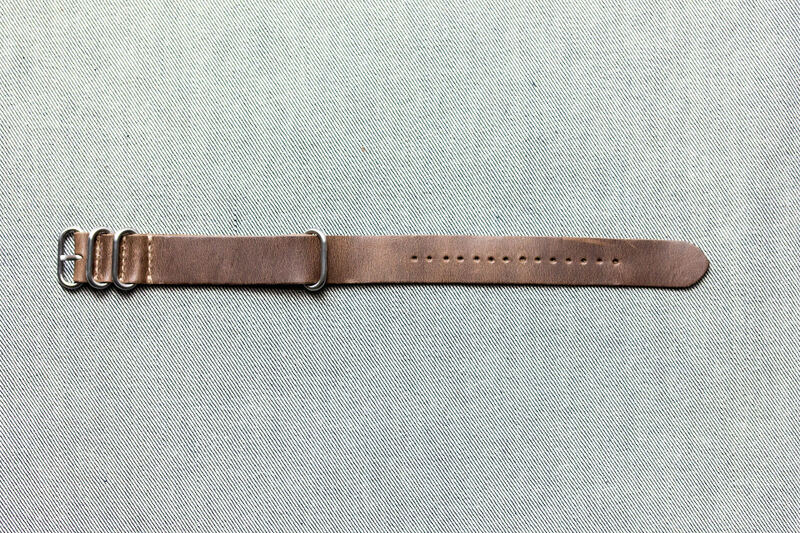 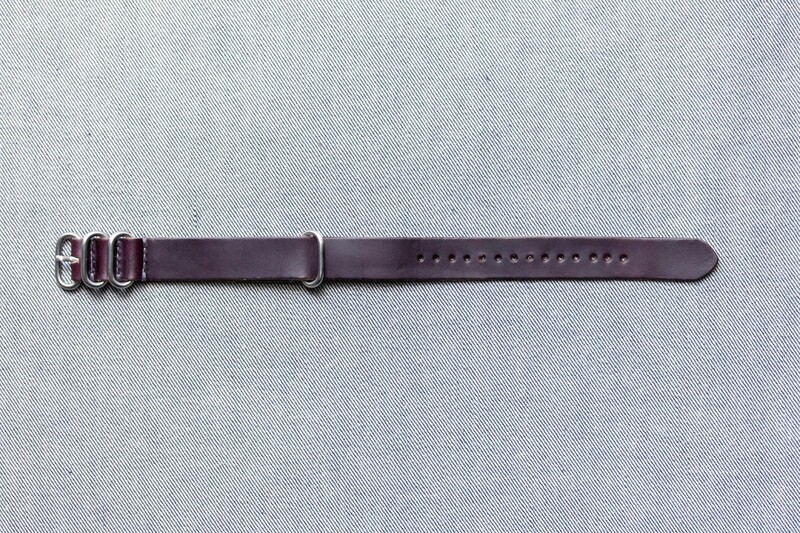 The design is such that it’s almost impossible for the watch to fall off, even if one of the lug pins fail the watch will remain attached to the strap. 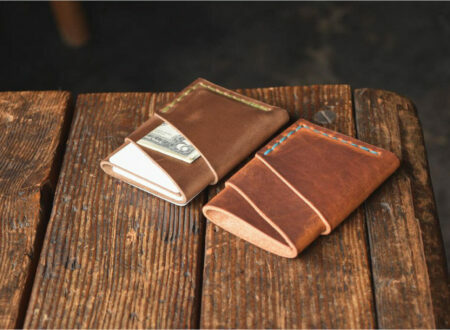 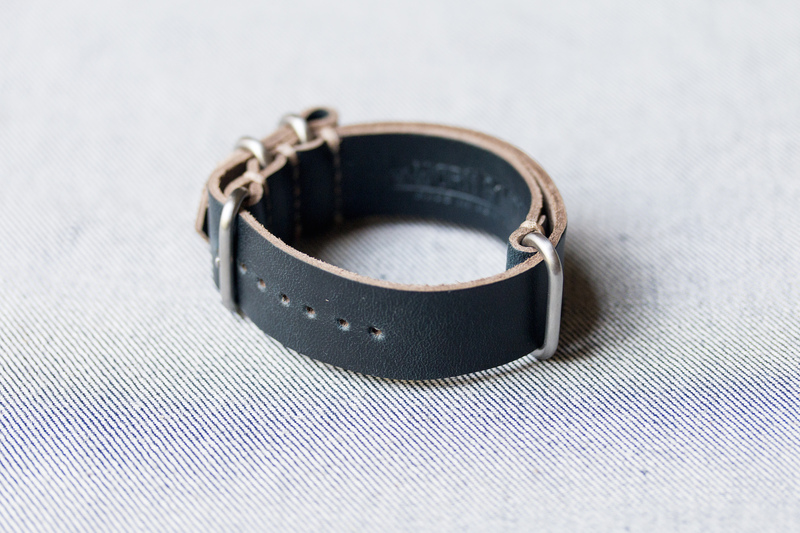 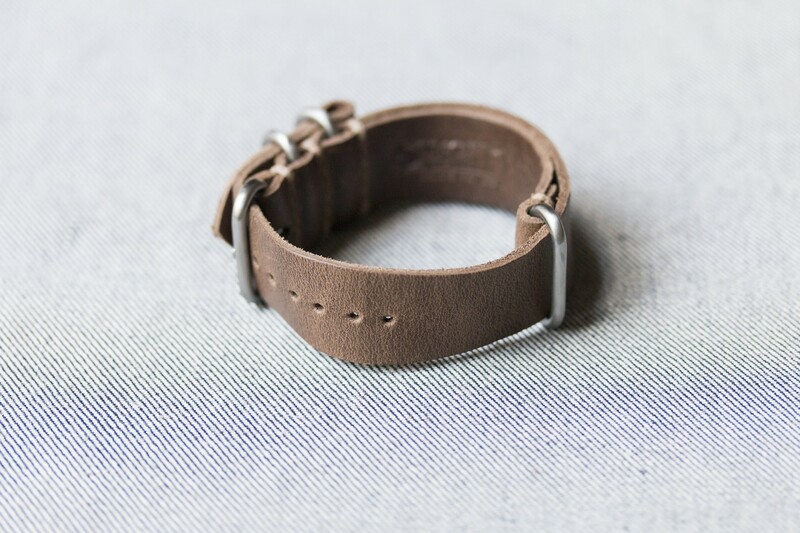 This Mil-Strap from New York City based Worn & Wound is made in both 20mm and 22mm sizes from Chromexcel Horween leather. 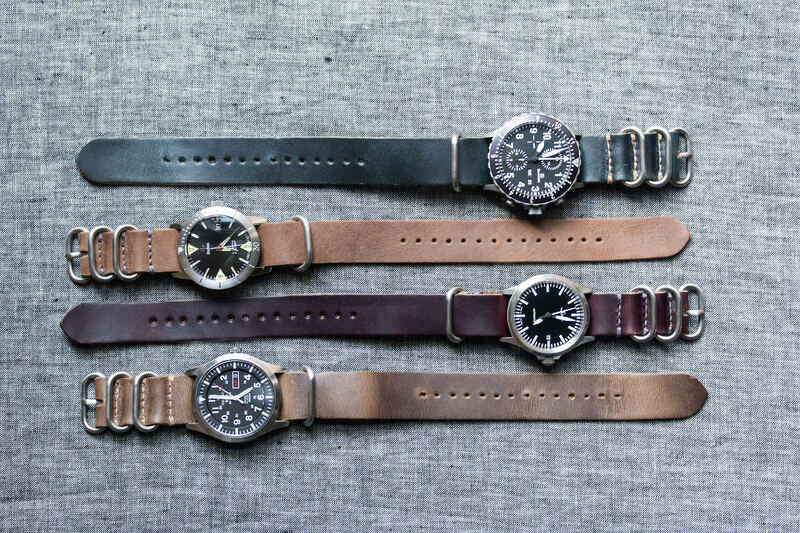 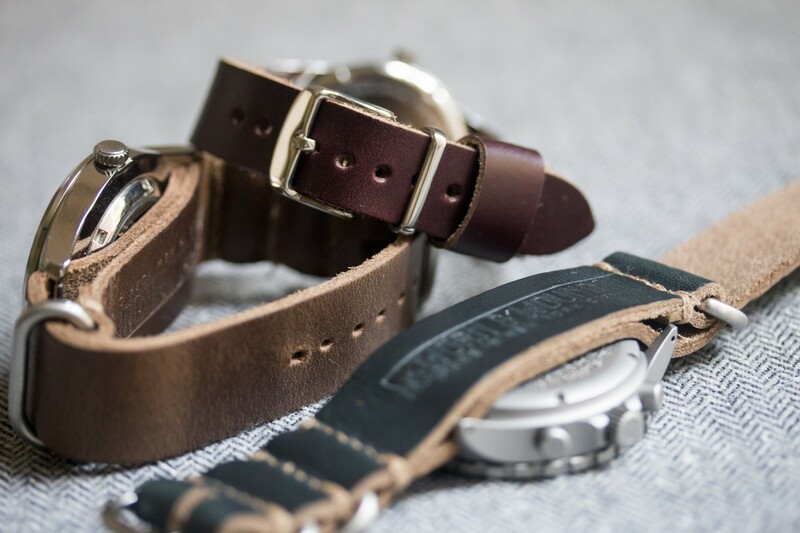 You can choose from burgundy, navy, natural and russet finishes, and each strap comes with stainless steel hardware.